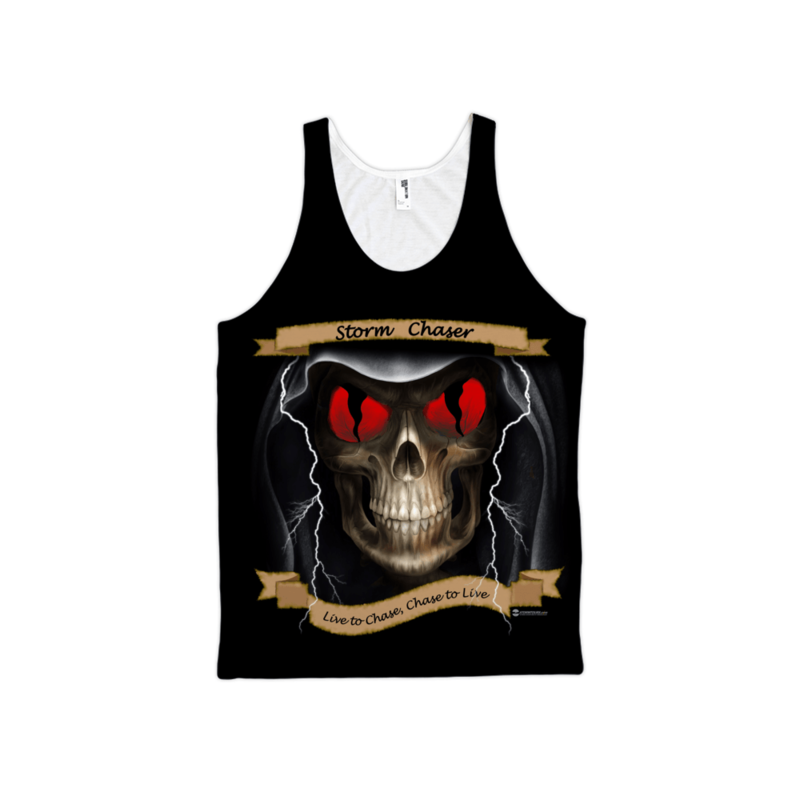 Our most popular shirt design on a tank top, perfect for the ladies! 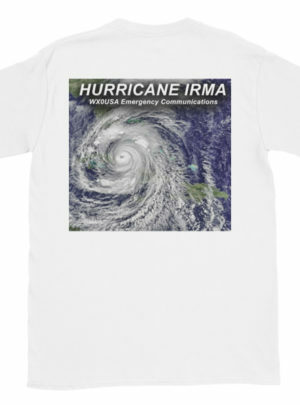 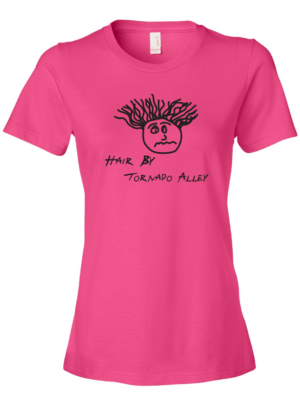 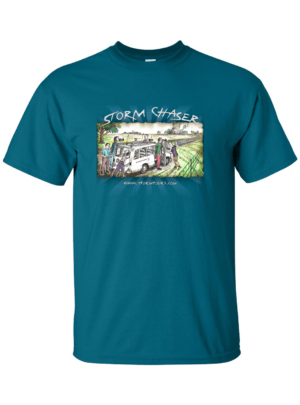 It may quite simply be the most amazing storm chasing shirt design ever made. 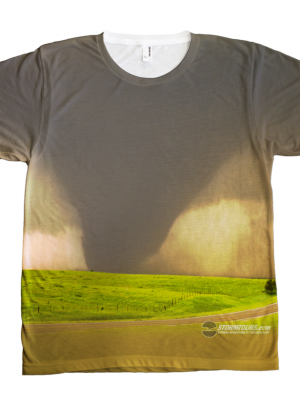 Featuring the 3D work of renowned artist John Kilgore who is behind a lot of shirts you’ve probably seen before. 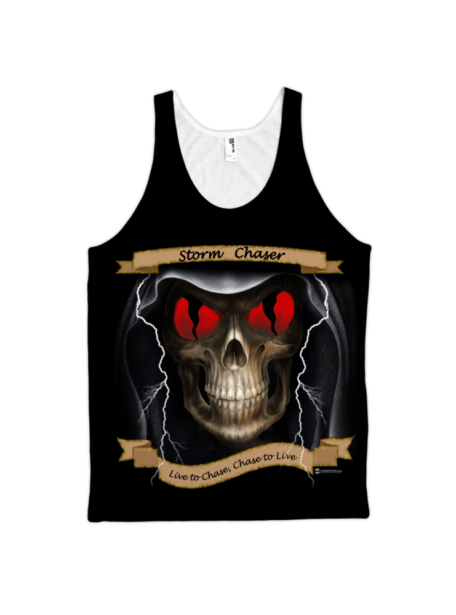 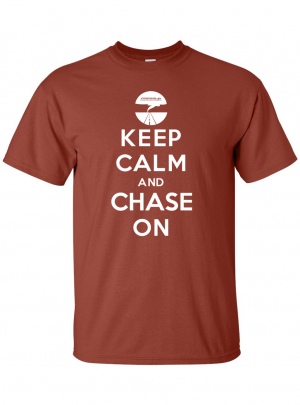 Live to Chase, Chase to Live celebrates the lifestyle of the storm chaser, the road-warrior who lives, eats and breathes danger in the name of public safety.